Honesty. Trust. Friendship. This is scout’s honour. When Nkululeko Mabuza teaches her young cubs these lessons, she’s empowering generations. Together with her mother Elizabeth, Mabuza has accomplished the exceptional. According to Mabuza, the rate of teenage pregnancy is 13% in Limpopo. But in the province’s scout programme, the rate is only 0.072%. In the Scouts, kids can be kids while dreaming of the future. “The children that we see, most of them are orphans and vulnerable,” Mabuza says. “But they come into Scouts and they get a sense of hope.” Mabuza was introduced to scouting by her mother, who helped form the Limpopo sector of Scouts South Africa with Keep the Dream 196. After qualifying as a social worker, Mabuza turned to the Scouts while she tried to find work, and chose to stay. “I’m passionate about children, especially the cubs,” she says. 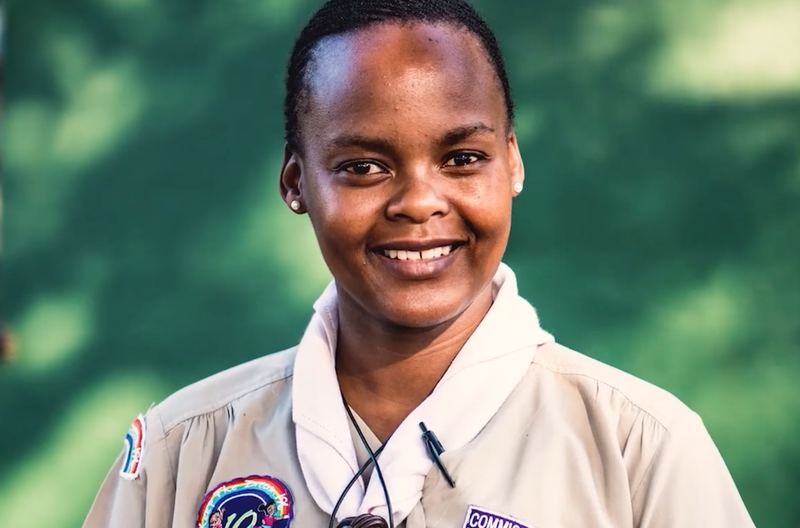 “Introducing them to new things and seeing their faces light up, seeing them smile – that’s what keeps me going.” Mabuza is the regional team coordinator for cubs, kids aged 7-11, while her mother works with the older scouts. Together they make an excellent team and were jointly named My Scout Heroes of 2017. “Our plan was never to win anything,” Mabuza says. “What we were doing was just our normal jobs to help the youth.” With the reduced teenage pregnancy rates, the cubs and scouts are given the time and opportunity to build their confidence and focus on their education. The programme allows them to grow.